Instagram is a platform that has changed and evolved continuously to keep up with the latest trends. Instagram marketing has also evolved along with the platform. Every new feature brings something new for the brands to experiment with. Earlier, Instagram marketing used to be limited to branded posts and content. Then came the era of influencer marketing. With the addition of Instagram Stories, brands found another format to market themselves. The most recent addition, IGTV, provided the option to post long-form vertical videos. Due to the dynamic nature of Instagram marketing and the platform itself, it becomes difficult to gauge how it will evolve next. 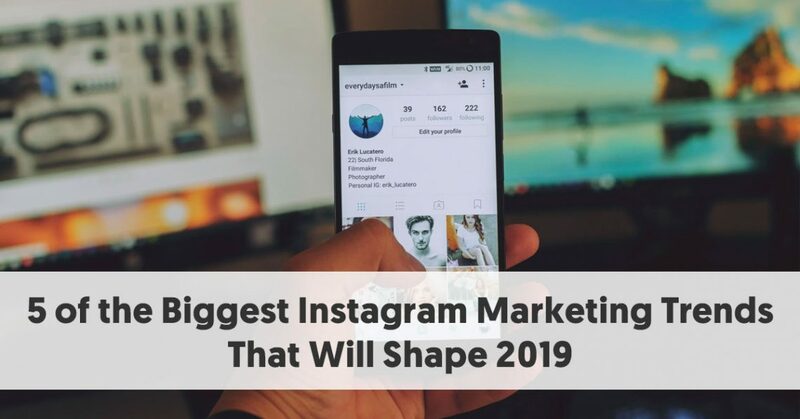 We have curated a list of five key trends that will shape the future of Instagram marketing in 2019 and beyond. In recent years, Instagram has emerged as an important platform for online selling. And it’s not just limited to brands adding direct buy links to their product posts. There is an entire community of online sellers that sell exclusively through Instagram. The platform’s visual style makes it easy for brands to display their products and the social network aspect of it makes it easy for sellers and buyers to connect. We all are aware of the shoppable posts, but Instagram selling has evolved beyond that now. In 2017, Instagram launched a feature that allowed adding links to Stories. Since then, this feature has been extensively leveraged by brands to add direct product purchase links to their Stories. This trend will continue to grow as it allows brands to showcase their products and drive sales conversions. In the below example, clothing brand, H&M, used this feature to provide a direct product-purchase option to their audience. They displayed a few products in their Story and then provided the “Swipe up to shop” option for easy product purchase. With the option to save Stories as highlights, brands can use this to showcase their latest collections and drive conversions on a more permanent basis. 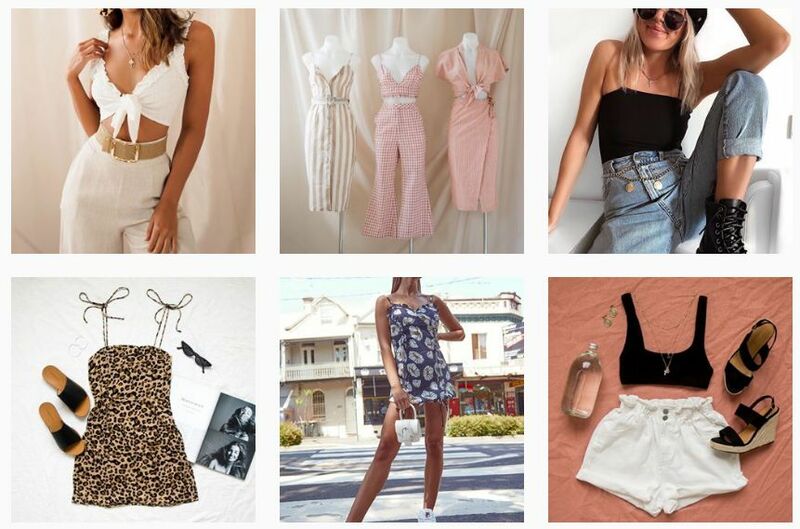 A lot of Instagram boutiques have cropped up that are using Instagram as a virtual boutique to display their products and enable purchases. Instagram’s visual style allows for a virtual product display and the right hashtags to help the brands to reach the right audience. With the increasing use of mobiles to access social networks or just browsing, the emergence of vertical videos was inevitable. But Instagram has made this otherwise unpopular video format quite popular and trending. Instagram Live, Stories, and IGTV, all support vertical video format and have made it a big Instagram trend. And since it is a mobile-friendly format, a lot of Instagram users are now driving this trend. The launch of IGTV—Instagram's feature for posting vertical, long-form videos—in June 2018, further drove this trend. And as the IGTV feature gains more traction, this trend will only grow further. Brands are leveraging this format for a variety of purposes. Whether you want to showcase your products, run a contest/challenge, or show a tutorial, vertical videos can be used for everything. 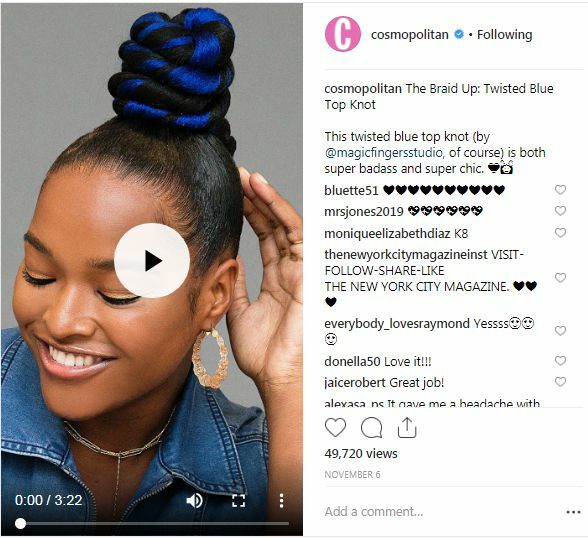 In the example below, the Cosmopolitan magazine uses the IGTV’s vertical video format to feature a hairstyling tutorial. And the best part is that creating a vertical video is as simple as holding your phone vertically and recording. Ever since its launch in 2016, Instagram Stories has been an important part of Instagram marketing. Brands have leveraged the Stories feature in a myriad of creative ways and will continue doing so. Due to the versatility of Instagram Stories, it has become an important aspect of any marketer’s Instagram marketing strategy. And with the addition of filters, stickers, and other visual effects, Stories are now more engaging than ever before. A lot of brands use Instagram Stories to promote their deals, giveaways, contests or just to feature display or short-form video ads. The transient nature of Stories develops a sense of urgency, which is ideal for promoting deals and giveaways. Stories are short, engaging, and addictive, and hence, are an effective medium for brand ads and promotions. 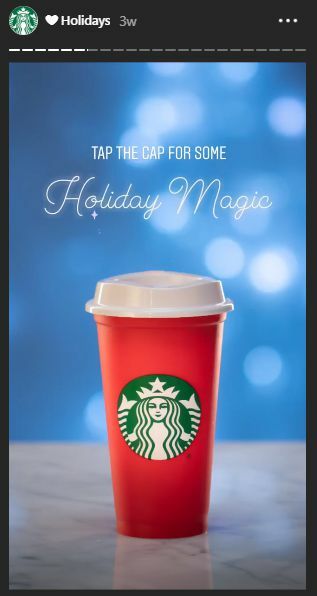 In the example below, see how Starbucks have creatively used an Instagram Story to engage their audience and promote their holiday deals and products. Running a poll or contest via your brand’s Instagram Stories is a good way to engage your audience. You can use polls to gather consumer insights and understand consumer preferences for your brand or products. Polls can also be used to get ideas on what the customers would want next from your brand. Giving your customers a choice and making them involved in the process works wonders for any brand’s customer loyalty. You can also use Stories to run a contest and reward the winning entries. This is another tried and tested way to get your customers to engage with your brand. 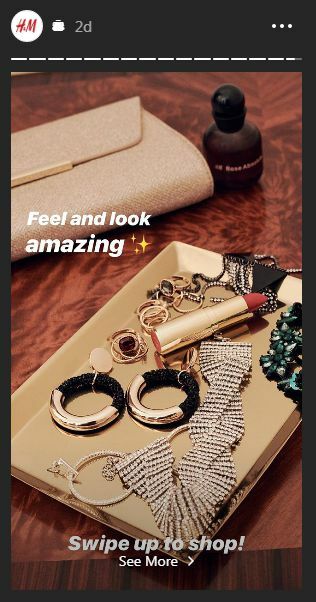 You can also leverage Instagram Stories to announce new product launches or just showcase featured products. 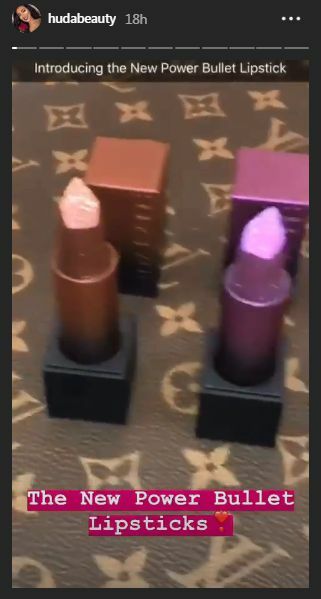 In the below example, Huda Beauty leveraged their Instagram Story to announce a new product launch. It has taken the story further by showcasing the various shades of the newly-launched range of lipsticks. This is not a new trend, but it’s one that is here to stay. Brand-influencer collaborations will continue to be the backbone of most marketers’ Instagram marketing strategies. And the fact that influencer content is considered more authentic than brand content, will be the key driving factor for this trend. Brands are leveraging influencers for creating posts, generating backlinks for their websites, increasing consumer engagement, and even driving sales. Whether you want to promote a deal or product, or just generate good quality content, influencers can help you do so. What’s more? Influencer marketing is much cheaper than running traditional ad campaigns. Instagram micro-influencers charge between $75 and $3,000 per post, depending on their level of engagement and follower count. This is still cheaper than the thousands of dollars that brands spend on traditional advertising. Gone are the days when brands used to pick one or two influencers and sent them free products to review. Now is the age of doing influencer marketing at scale. Many brands are now leveraging a network of influencers to promote their Instagram marketing campaigns, using campaign-specific hashtags. This tactic combines two elements of Instagram marketing—influencers and hashtags. The idea is to create a campaign-specific hashtag and promote it through all forms like Stories, posts, Highlights, and influencer content. 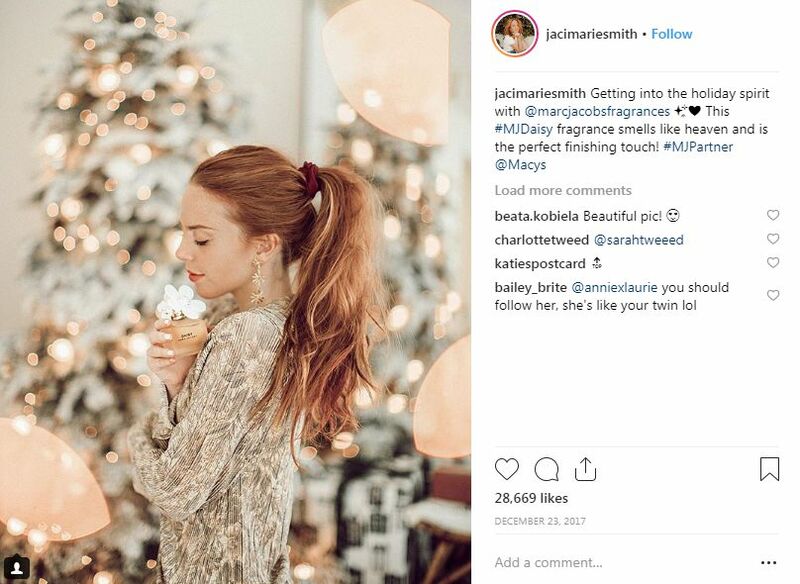 For example, Marc Jacobs used this strategy to promote the launch of their new perfume, “Daisy.” The brand devised the hashtag “#mjdaisy” for the campaign and collaborated with several influencers to promote the hashtag. This is a more recent trend where several brands have invited a highly-curated set of influencers to their brand events. Some brands even take these influencers on all expenses paid trips. The influencers, in turn, post about the event, mention the brand and promote the brand. Revolve is a clothing brand that often uses this strategy. The brand’s Instagram Highlights are filled with stories about influencer trips and events that they have hosted. The brand gets a lot of influencer content, from these events. 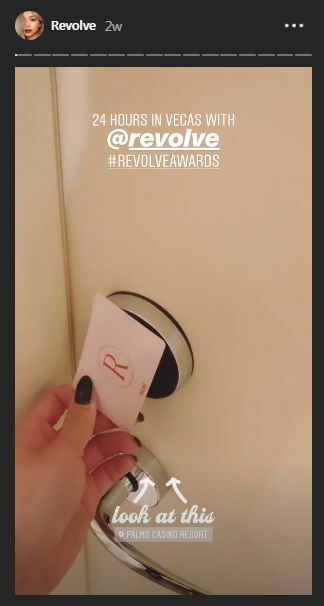 For example, influencer Francis Lola posted this Story about a Revolve event, which reached her massive following of 331k people. Instagram is a platform that has never failed to surprise when it comes to adding innovative and useful features. The platform has evolved from a chronological visual news feed to having live streaming and IGTV. Due to the sheer intensity of competition among social media platforms and the race to get more users, Instagram will continue to evolve. Instagram is currently testing a new, better analytics platform which will help businesses grow when it is launched. There is also news about a new feature called Promoted Stories, which will help boost featured Stories for maximum reach. So, watch out for these and, hopefully, many more such exciting features from Instagram in 2019. Instagram will continue to evolve, and these trends will shape the future of Instagram marketing. Leverage these trends to grow your business and boost your Instagram presence.